The Computer Graphics Forum 2017 Cover Image has been selected by the CGF editorial board. We thanks all people who submitted this year, and hope that they will participate to the next year contest. 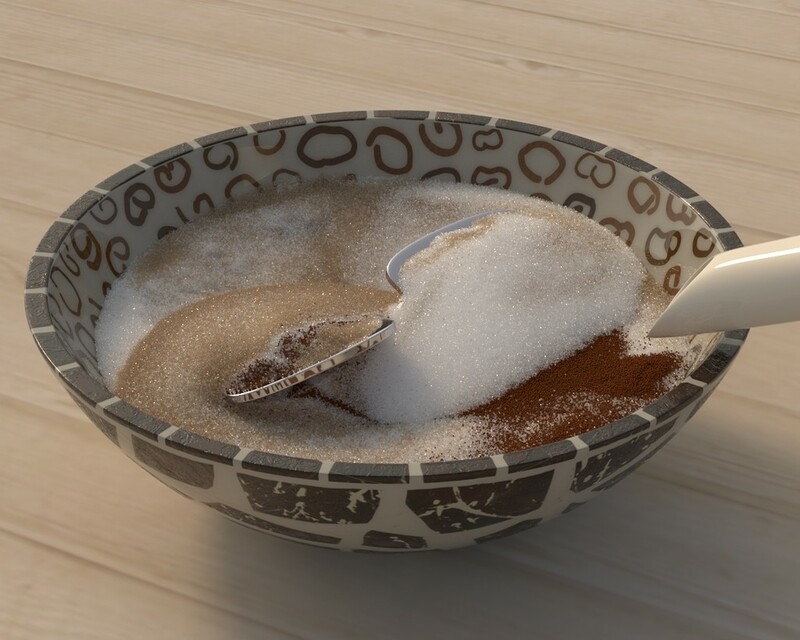 This is a frame of an animation sequence where white sugar, brown sugar, and cinnamon are mixed inside a wooden bowl (full animation: https://vimeo.com/192458481 ). Our algorithm accurately preserves the important global illumination grain appearance such as glints, translucency, and occlusion in this scene. 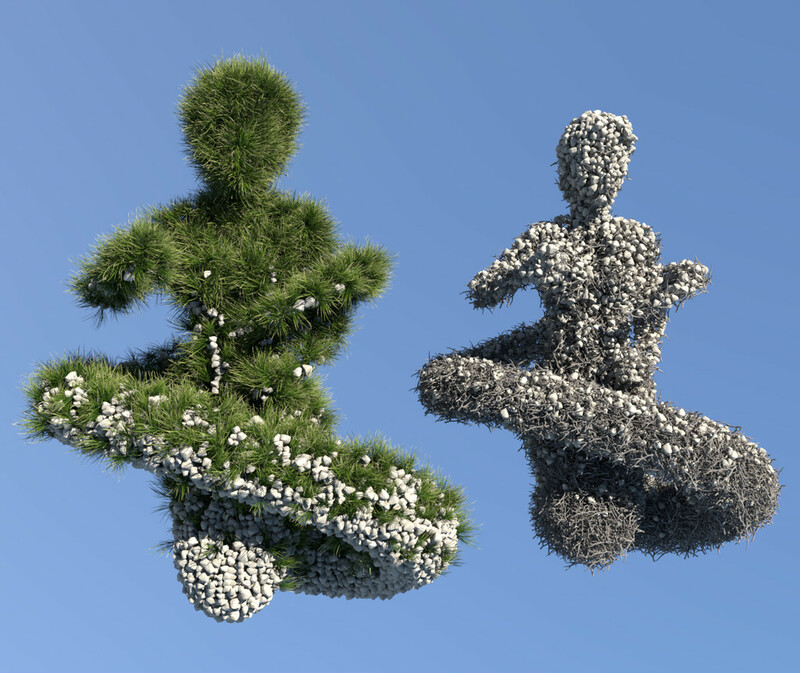 The grain placement was simulated in Houdini and given as input to our method which handles rendering and hallucinates temporally consistent grain orientations. The key to our efficiency lies in two complementary grain scattering aggregation techniques which are automatically chosen to minimize approximation error, without any input from the user. Our method can accelerate light transport in dynamic, spatially varying, and polydisperse granular media. Grain placement can be modeled procedurally or with off-the shelf particle simulation tools. 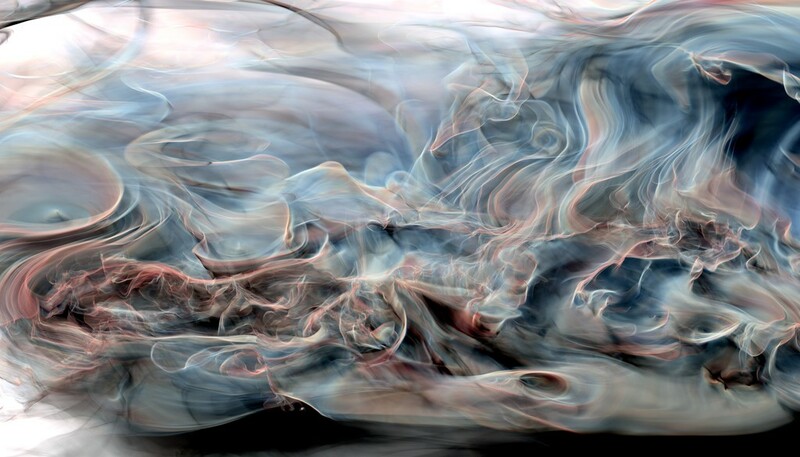 This visualization shows our unbiased Monte Carlo rendering of atmospheric air flow patterns using the finite-time Lyapunov exponent (FTLE) field. Our method was published at the Eurographics Conference on Visualization 2016. The example shows atmospheric structures in a reanalysis simulation of the European Centre for Medium-Range Weather Forecasts (ECMWF). The FTLE field highlights areas of strong repelling behavior and denotes regions that cannot be crossed by virtual atmospheric tracers. These so-called material structures govern, for instance, the advection of tracers (like dust or carbon dioxide), temperature diffusion, and cloud formation. Our rendering approach enables high-quality volumetric visualizations of complex FTLE fields and is guaranteed to faithfully represent detailed ridge surface structures. While previous methods suffered from grid discretization and ray marching artifacts, we treat the volume as participating media and employ a consistent light transport simulation method, based on unbiased free path sampling. a distribution of different non-intersecting entangled instances constrained to the control volume. Our method can generate hundreds of thousands of densely packed objects of different type interactively (in this case approximatively 20k instances were instantiated in less than a second). Mitsuba ray-tracer was used to render the scene. The method and further details may be found in "Efficient modeling of entangled details for natural scenes", Computer Graphics Forum, Volume 35, number 7, 2016.